Hide this Project (Shantigram The Meadows) Discover properties in other projects by hiding the ones that doesn't interest you. You won't see them in your searches further but you can unhide anytime later. Shantigram The Meadows, located in Ahmedabad, is one of the residential developments of Adani Township and Saumya Construction. It offers spacious 2 BHK and 3 BHK apartments. The project is well equipped with all the amenities to facilitate the needs of the residents. What is the project location?The project is located at SG Highway, SG Highway & Surroundings. What apartment sizes are available in Shantigram The Meadows? The project offers apartments sized between 1080.0 sqft and 2280.0 sqft. 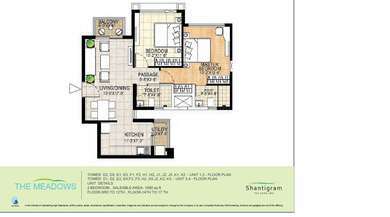 What is the area of 2 bhk in Shantigram The Meadows? The size of a 2BHK unit in the project ranges from 1080.0 sqft to 1400.0 sqft. 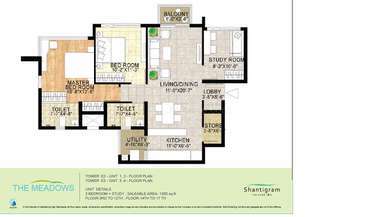 What is the area of 3 bhk in Shantigram The Meadows? Three-room units (3BHK) in the project are available in an area of 1775.0 sqft to 2280.0 sqft. How much is the actual area of Shantigram The Meadows?The area of the project is 27.0 Acres. 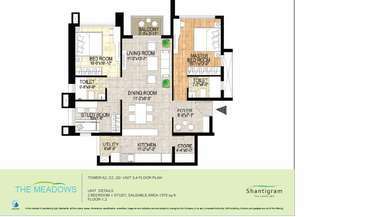 How much is price of 2bhk in Shantigram The Meadows? 2 BHK units in the project are priced at Rs. 4400000 to Rs. 5850000.